The world of music moans today as yet again another great artist is taken from this world. Soundgarden’s Chris Cornell passed away earlier today at the age of 52. This afternoon the medical examiner ruled the death a suicide by hanging, furthering the pain of this loss. Reactions are pouring in from across the music world and beyond, expressing their sadness with this very upsetting situation. Many were shocked at what had happened. Keenan meanwhile, teamed up with Cornell for a one-off cover of Elvis Costello’s classic “(What’s So Funny ’Bout) Peace, Love & Understanding” at the Axis of Justice event at the Avalon in Hollywood on July 19, 2004. “Chris had such a rare voice and I’m deeply saddened by this. I’ve had some serious bouts with this & it takes vigilance but u can be happy.” – Nicole Atkins Tweeted in response to AC Newman from The New Pornographers, referring to his statement about getting help for anxiety and depression. I dreamt about the Beatles last night. I woke up with Rocky Raccoon playing in my head and a concerned look on my wife’s face. She told me my friend had just passed away. Thoughts of you flooded my mind and I wept. I’m still weeping, with sadness, as well as gratitude for having shared some very special moments with you and your beautiful family. You have inspired me in many ways you could never have known. Your talent was pure and unrivaled. Your voice was joy and pain, anger and forgiveness, love and heartache all wrapped up into one. I suppose that’s what we all are. You helped me understand that. I just watched a video of you singing “A Day In The Life” by the Beatles and thought of my dream. I’d like to think you were saying goodbye in you own way. I can’t imagine a world without you in it. I pray you find peace in the next life. I send my love to your wife and children, friends and family. Thank you for allowing me to be part of your life. While many others were friends trying to send out their best thoughts and prayers. 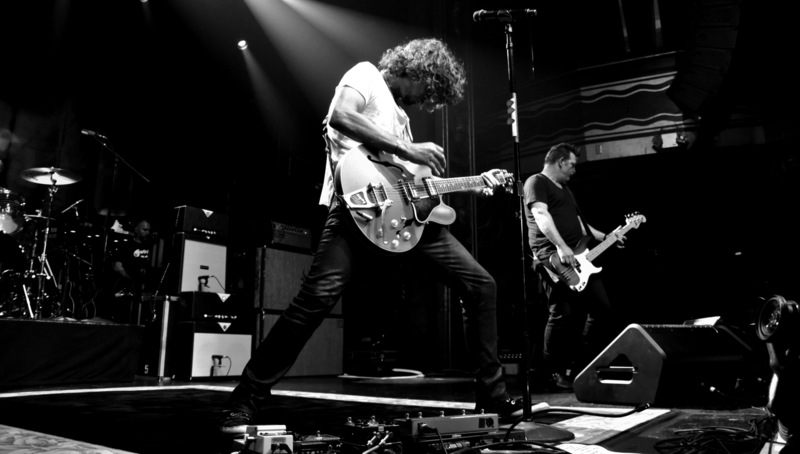 Benjamin Weinman who as the guitarist for Dillinger Escape Plan had spent the last few weeks on the road with Cornell’s band Soundgarden, expressed his shock. “So sad. 52 is no age. “What a beautiful spirit we have lost. ” – Melissa Ethridge, sharing a photo of herself with the singer and Sheryl Crow. Many more reactions from the music world are coming in every second of the day and will continue to flow in as the wounds are fresh and will take some time to heal. We can only make sure that Cornell’s name and work continues to live on in our memory as we listen to his art each time.